We recently got B&H to send us 6 of the most popular gimbals for mirrorless cameras. We spent hours figuring out all six and tediously balancing each of them multiple times so that you wouldn't have to. Luckily, there is a clear winner. Although we specifically were looking for the best gimbal to use with our Panasonic GH5, and we were looking to be able to balance the camera with the screen positioned out the side, our review of each of these will be relevant for any other mirrorless camera as well. Sometimes it's difficult to review similar products. Usually the "best" product may also be the most expensive. Sometimes, what would be the best product, is missing a key feature. I'm extremely happy to say that this is not the case when it comes to gimbals. The Zhiyun-Tech Crane is better in almost every way than its competition. The only feature it's missing is the ability to physically grab it and position it, but as long as the gimbal can remain horizontal, I'm not sure why that feature is even necessary. 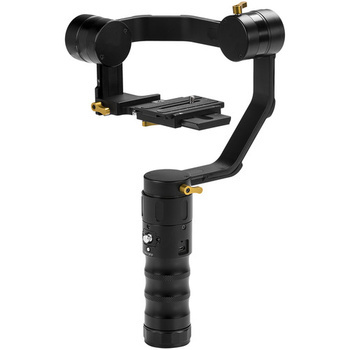 If you're looking for the best gimbal for your mirrorless camera, look no further than the Zhiyun-Tech Crane. And if you're looking for something a little bit more convenient, check out the Zhiyun-Tech Smooth C. It happens to be our favorite gimbal for the iPhone as well. What's your take on the Smooth C and iPhone vs the Karma Grip with GoPro 5 Black? I haven't used the Karma grip but I have used the GoPro and other GoPro gimbals a lot. The Gopro is too wide in my opinion and if you "zoom in" you will lose resolution. We have been using the iPhone on the smooth C for a couple years now and each phone gets better and better. Now, the iPhone 7 has optical stabilization and when you combine that with the gimbal, you can get great results. The Came-TV single has been replaced by the Optimus. Will you, or have you reviewed this one? B&H definitely carries that one, so I'm just wondering why it wouldn't have featured here. I have had a great initial experience with the Zhiyun-Tech Crane. As a complete novice, it took me only 2 minutes to balance it the first time. When changing lenses, it takes less than 30 seconds to adjust. All the screws and adjustments are tool-less. The flow and control is very good and automatically compensates for imperfect balance or lens extension. The app remote connects quickly and works as advertised. It is harder to adjust camera settings as the gimbal makes access to the camera buttons harder. I do like the longer handle of the gimbal as it can be held with both hands for less fatigue, and the screw hole on the bottom for easy storage and balancing. Do be aware that heavier loads can limit the 360 usability of the gimbal. With a heavy zoom on my 70D, the extension of one of the arms does limit motion to less than 360 as the arm hits the base of the gimbal. This is not an issue on my other 2 lighter lenses. A GH5 + Speedbooster + Sigma 16-35 is 1,706g. I tested my Zhiyun-Tech Crane with a 70D + 17-55 load which is 1,397g and it did balance the load, but I had issues that the balance point did not allow a full 360 range of motion. 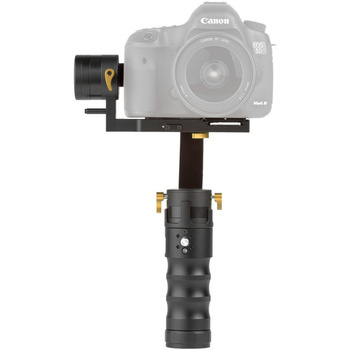 Would love to see your take on gimbals for DSLR's preferably for the Canon 5D Mark IV, and if it's possible for a DSLR. Also a review of the Feiyu MG V2, supposed to have the same load capacity as the Feiyu that you reviewed but with more carrying configurations. My point being after spending so much on the 5D M4 I would not like investing in a new mirrorless camera. Hey Lee, Moza Air starts to ship next week. If you're doing the Optimus, can you also put Moza Air in the comparison shelf? For $599, thumb controller and dual-handle included, it really sounds like a rival for Zhiyun crane. Thanks! Will do, I just saw an ad for this one today. After watching your video i felt like i have to say something. It feels like your video is a little bit biased towards Zhiyun crane. You compared it to 4 gimbals 3 of which are irrelevant. Came single is a 2 year old gimbal replaced by Came optimus. 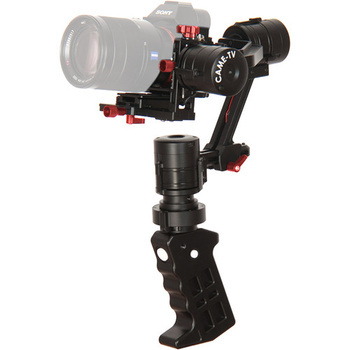 Optimus has 360 degrees motion on all axis, you can set the camera position by hands, it can timelapse, works in invert mode, briefcase mode and has a detachable handle that can be replaced with a double handle. 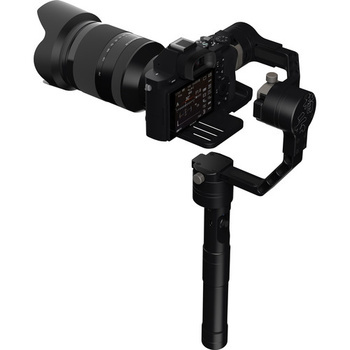 The beholder/Ikan ds1 you mentioned is also a 2 year old gimbal without encoders also replaced by EC1 and MS pro. both of them are basecam based gimbals and like came optimus they have the same functions. Feiyu MG is a selfie stick for tourists and, in my opinion, shouldn't even be in the same category. You didn't mention Pilotfly H2 which is one of the strongest single hand gimbals on the market with payload up to 2.2 kg. also basecam operated. About the thumb operated joystick - in all of the basecam gimbals you can decide where you want the joystick to face forward or backward. And you can move the camera in any direction at any time while crane's joystick can be operated only on axis in lock mode not in follow. By the way moving the camera on roll axis can be done in basecam gimbals either with a joystick or with follow mode. The quick release plate - the idea is to leave it connected to the camera and being able to use the same plate on all of your supports, tripod, monopod, shoulder rig etc. and that's why there is no need for toolless screw for that. also toolless screw are usually too big to fit quick release plates. Another thing about Crane - when in lock mode on pitch motor and in follow on yaw and you try to tilt down an pan at the same time the gimbal will not do it smoothly. many times it will "jump" left or right while doing it. Calibration on crane is a nightmare. you have to use the app which means that you have to have a phone with you at all times and the only type of calibration they have is a 6axis calibration that takes a lot of time. In basecam gimbals either gyro calibration and sensor calibration can be done with a press of a button and it take seconds and you don't have to calibrate your sensor each time you calibrate your gyro. 6 axis calibration can be done by connecting the gimbal to the computer app. 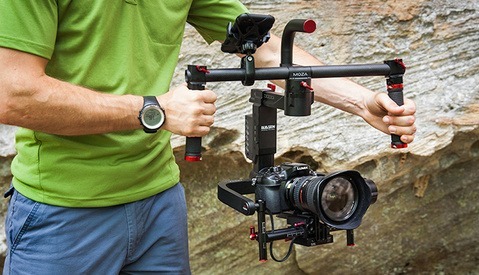 I'm not saying that Zhiyun Crane is not a good gimbal but it's, in my opinion, not as good as any of the basecam gimbals like Beholder/Ikan, Came-tv or Pilotfly. That's a very fair critique. I certainly didn't review every gimbal on the market and it seems like I may have missed some of the best ones. I did skip over certain features for time if I felt like the gimbal wouldn't really work well with the GH5. I'll try to get the ones that I missed and do another video comparing them all. You missed the Feiyu MG V2? How? The MG Lite is the old model. 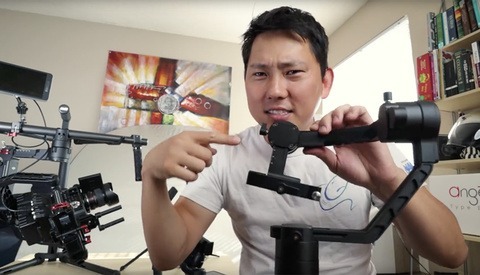 I bought the Zhiyun-Tech Crane based on your review... Zhiyun USA has a special... 10% off... so it cost me $585... free shipping and no tax to California. Looking forward to receiving it. Thanks for putting together this gimbal comparison. 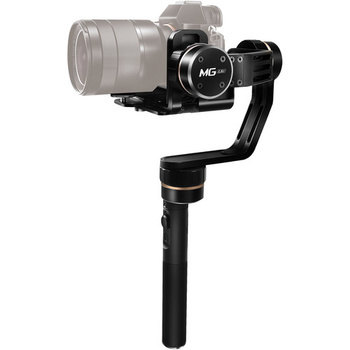 We're in the market for a new gimbal for a GH5 and the Zhiyun-Tech seems like the way to go. Did you happen to come across a soft case that works well for this unit - particularly one that that will fit the gimbal without having to break it down an re-calibrate each time? Here are some tests on the GH5 IBIS, Dual IS and Beholder EC1 Gimbal Stabilizer.